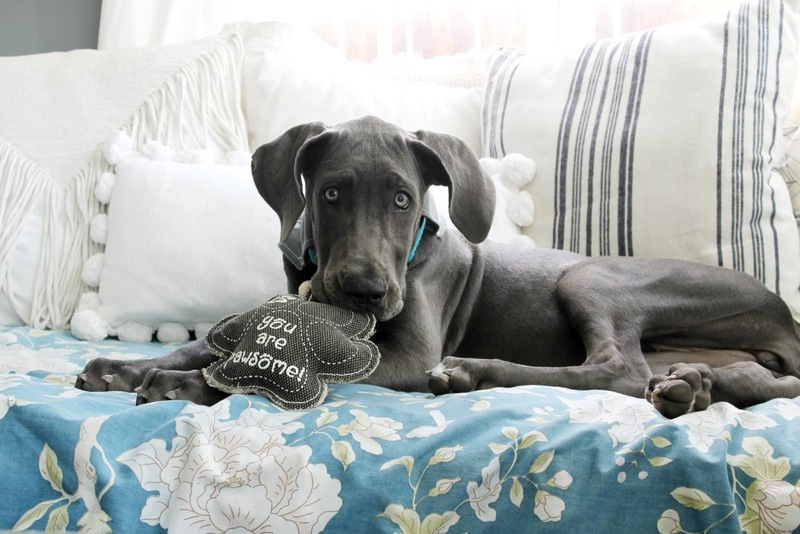 Meet Our New Great Dane Puppy & The Cutest Dog Toys Ever!! 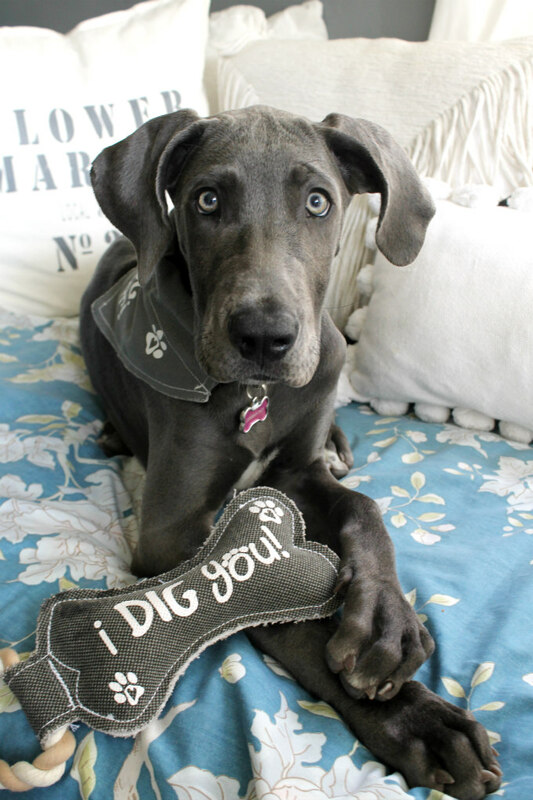 If you follow me on Instagram then you might have already seen that we got us a Great Dane puppy! But I feel bad because I have yet to share any pictures of her here on the blog. So Please let me introduce you to the newest member of our family, Stormy! Well actually, that is what Stormy looked like the day we picked her up at 10 weeks old. She has already grown SO much and continues to grow at rapid speed every day. 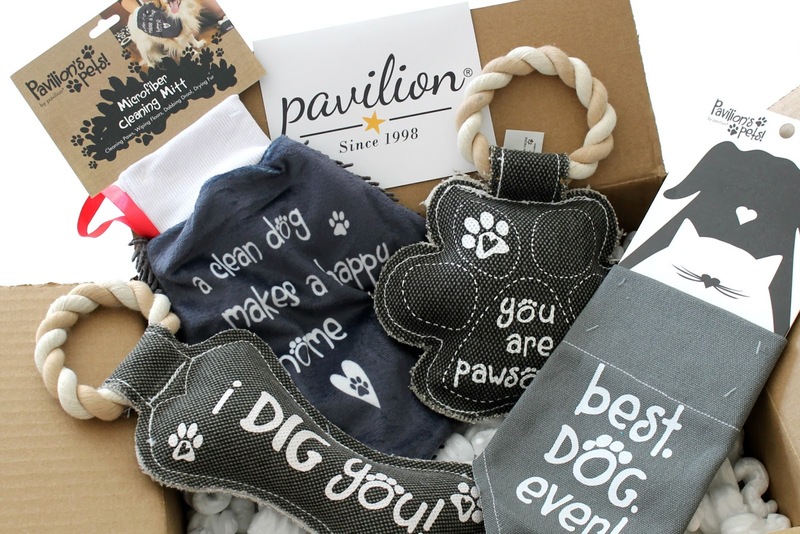 When my friends at Pavilion found out that we got a new puppy, they were so kind as to send Stormy some special new dog toys and accessories from their Pavilion's Pets line. 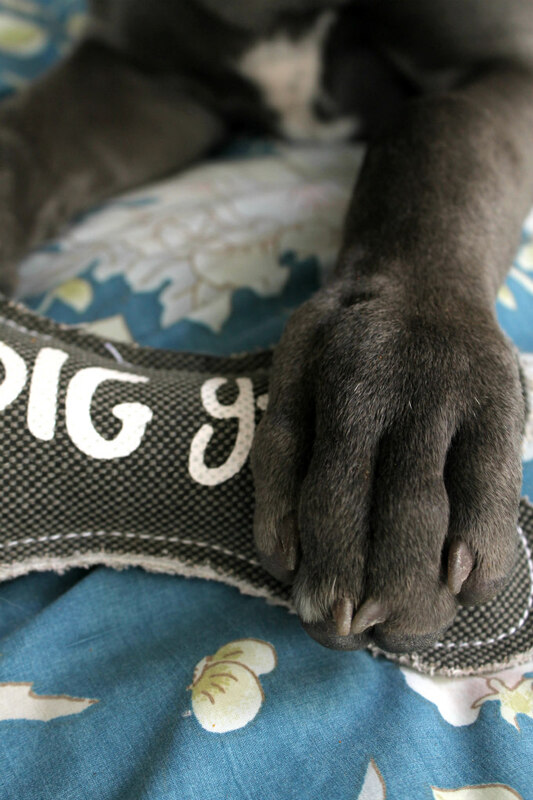 These sturdy canvas tug of war dog toys are great! Stormy has been caring them around the house with her everywhere she goes. These toys come in lots of different colors and shapes too. They even come in trees and snowman, so you may want to keep that in mind when looking for a gift for your pooch at Christmas time. 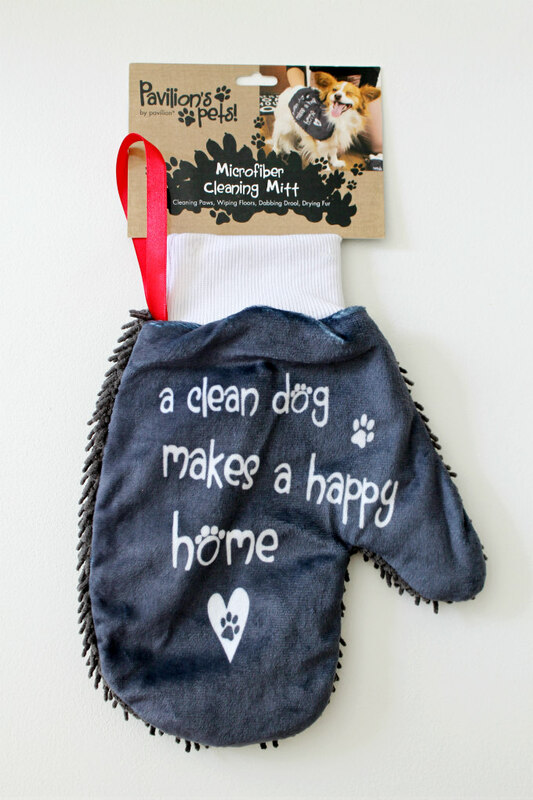 And this happy home microfiber cleaning mitt is wonderful for wiping the boogers from Stormy's eyes and the dirt off her paws. 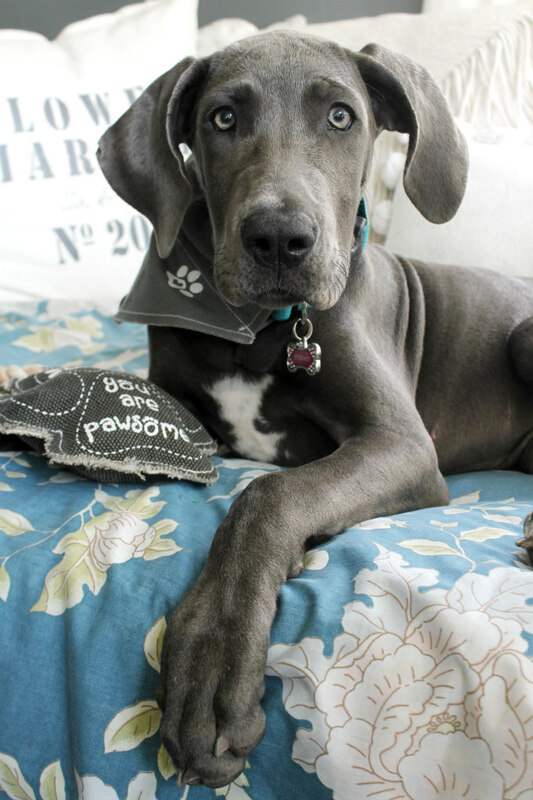 Great Danes are known to drool a lot, so I'm guessing this mitt will be perfect for cleaning that up too when we get to that point. I put the bandanna on Stormy when we went for a walk to the park and I could just tell that she knew she looked adorable in it. I just slid her collar into the flap on the bandanna and was still able to attach her leash. 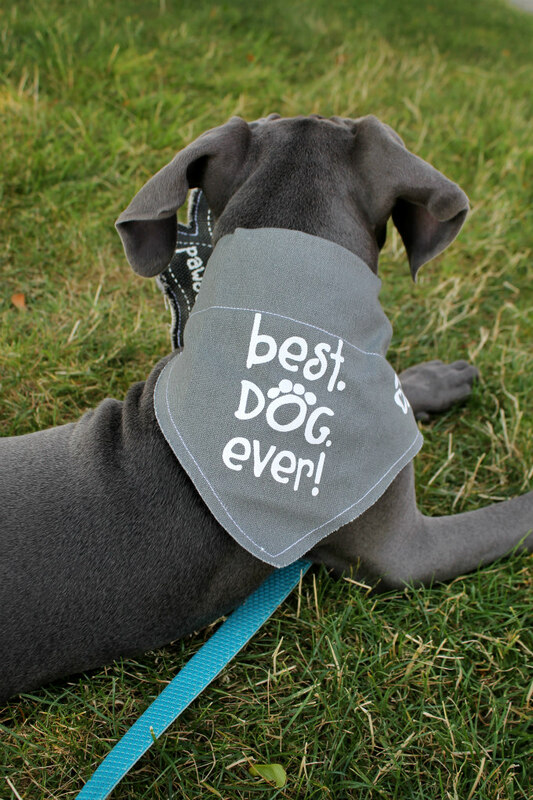 These bandannas come in lots of different colors, sizes, and phrases too, but the Best Dog Ever was the perfect one for Stormy. I have always been a huge fan of Pavilion Gift and the quality and selection of unique and thoughtful gift ideas that they carry. If you are unfamiliar with Pavilion Gift, then be sure to stop by their website and take a look around. So now, I just wanted to share the story of how Stormy came to be our new puppy. You may recall, we use to have a Pug named Abby. Abby passed away in February at almost 13 years old. Abby's last year was a difficult one because she became diabetic which led to blindness. It pained me to have to give her shots twice a day and watch her struggle with daily life. The day she passed was definitely bittersweet. We all knew we would miss her very much and that one day in the future we would get us another dog. 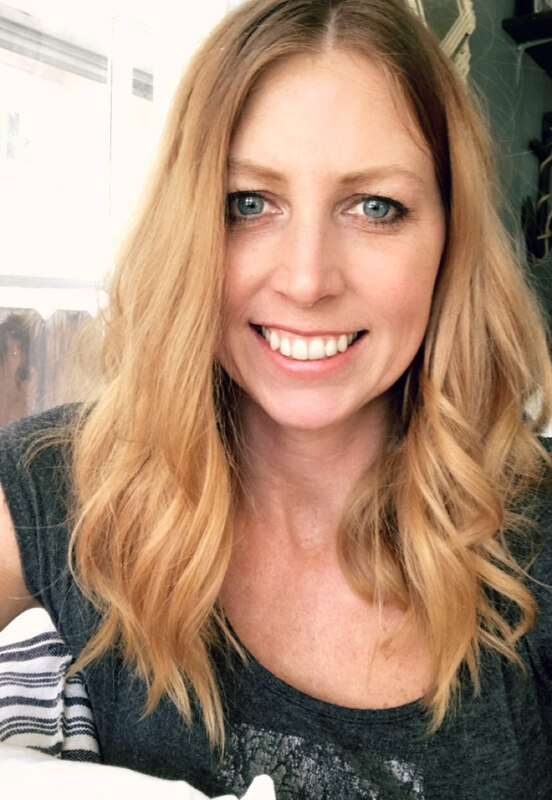 Then comes June and I get a text from my husband, Jake, saying, "Ready for a new puppy?" Jake was searching Craigslist and came across some Pyrenees-Boarder Collie Mix puppies. So that afternoon the family drove out of town to see the puppies. The whole time I was debating if I could even handle having such a big dog in our home because I've never had a big dog before. I really didn't know what to expect. Not surprisingly the puppies were adorable! They looked like little balls of fur. But when we tried to play with the puppies all they wanted to do is go into their little dog house and sleep. We weren't feeling that, "This is our puppy" feeling that we were expecting to get. Feeling unsure of what to do next, I said, "let's go see what's at the Humane Society" So we did, and we came across a cage full of cute little mutt puppies. We got a private room and had them bring us a couple different puppies one by one. Again, these puppies were cute, but all they did was crawl under the chair and sleep. We were so surprised, we were expecting to have little playful puppies jumping on us, making the boys laugh, and choosing a favorite to bring home. But that just wasn't the case. So we went back home. Over the weekend, everyone in the family seemed a bit melancholy, especially Jake. He was really looking forward to getting a new puppy and I could see the sadness on his face because it didn't happen. I even debated going back to get the Pyrenees puppy just so we would have a puppy. I got on my iPad, looked up Craigslist and started scrolling through the pets ads. 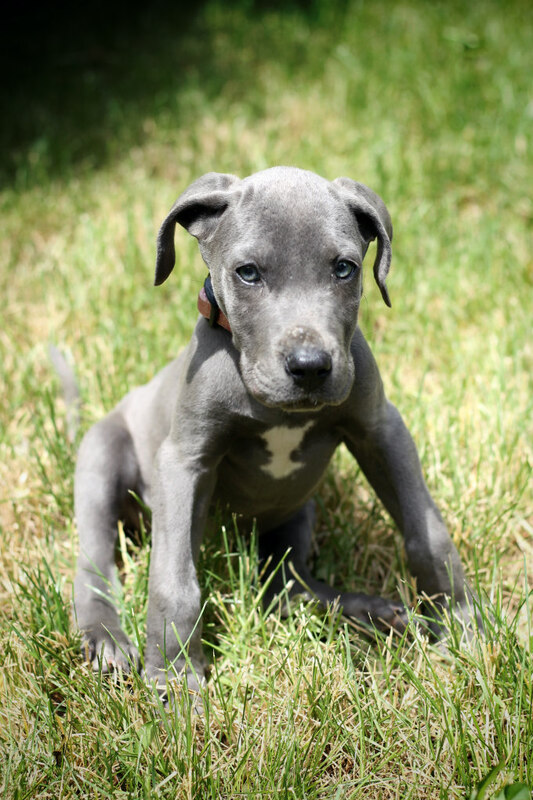 And that's when, before my very eyes, I see, "BLUE GREAT DANE PUPPIES"
You see, Jake has always wanted a Great Dane ever since I've know him. 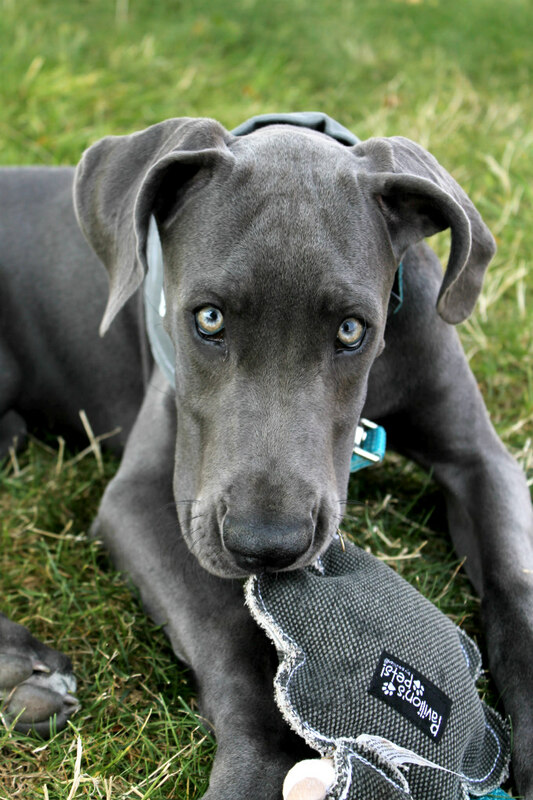 And not just any Great Dane, but a blue one. I showed the ad to Jake. He got a big smile on his face and said, "should I text the guy?" 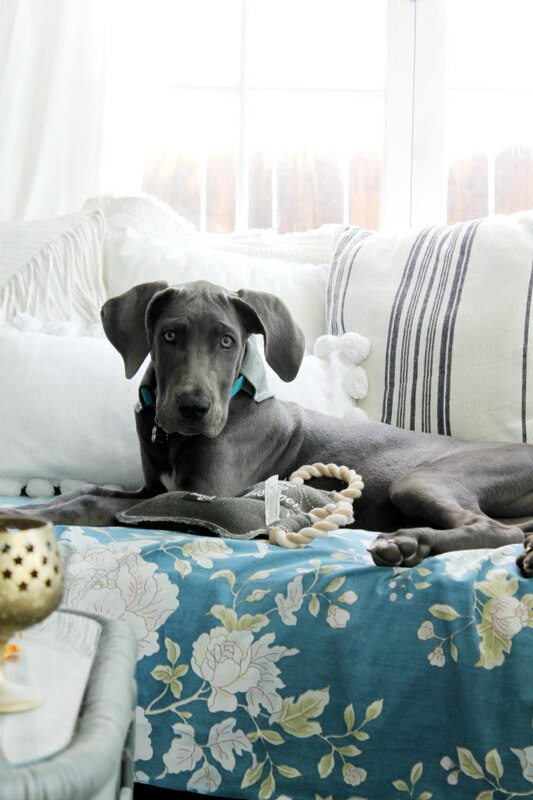 Honestly, it took me a few minute to grasp the idea that we were probably going to go get this Great Dane puppy, and again and again I kept thinking, "Can I handle a big dog?" But looking back at Jake and that sad look on his face thinking that I might say No. I realized, this was SO meant to be! Right? Do you believe in fate? Because I do. And everything that we went through that weekend was leading the way for us to get This puppy. Obviously, I said, "Yes, text the guy" the guy text back with the info and minutes later our family was in the car headed out of town to get us a Puppy. When we got there, there were three puppies left. A super hyper male, a too sleepy to get up female, and one playful sweet adorable female, which is the one we choose. On the way back home, Jake was driving, I was in the passenger seat with this little puppy on my lap. The boys were in the backseat giggling and deciding what to name our new puppy. Then all of a sudden it got really windy and rainy and by the time we got home there was a hailstorm with hail the size of marbles. It was crazy! And I said, "I think we should name her Stormy!" I seriously could not be in anymore love with this dog than I already am. And as far as all of the worry I had about the size she will be, I'm good with it. It's fascinating to watch her grow, especially her big paws. I love her paws! 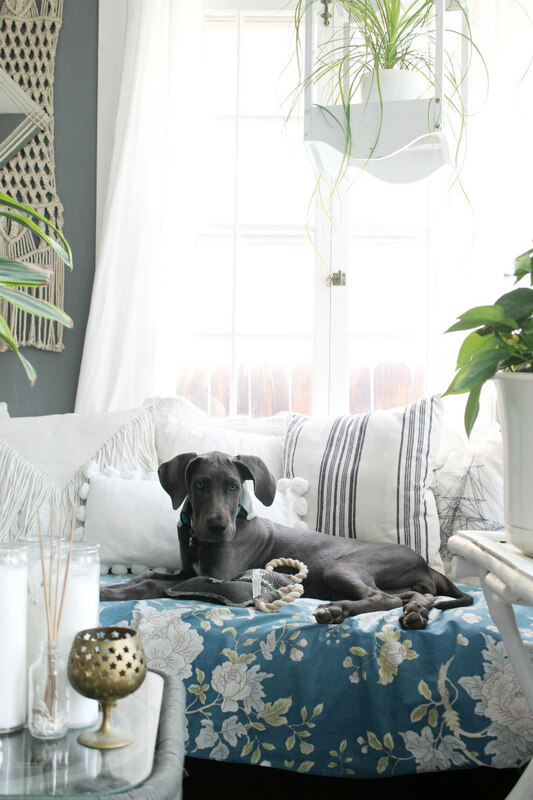 I'm sure you will be seeing a lot more of Stormy as she makes her way into all of my home decorating pictures. 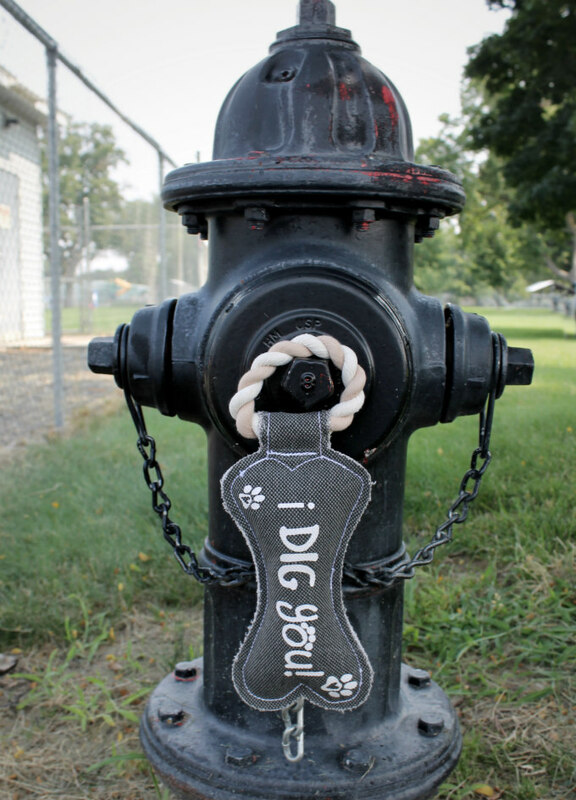 And Thank you Pavilion for the new Dog toys and accessories. 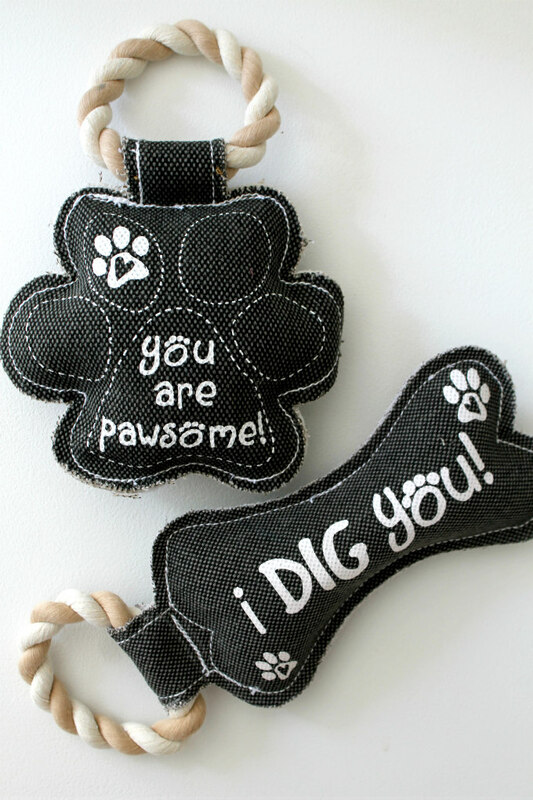 They are PawSome! She's so cute!! Keep posting updates on her growth and cuteness! !